Students are working on using two hands on the keyboard, while changing fonts and sizes as they type. Second graders are finishing a unit about Pilgrims and Wampanoag peoples. Students selected a topic and created a slide show with images, facts and transitions. 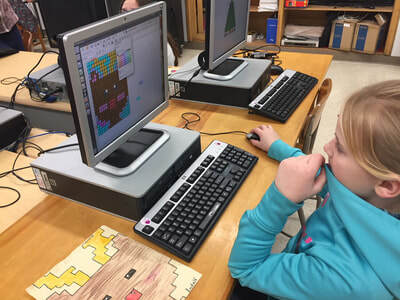 Students have learned about Internet browsers, their components, and how to use the features to their advantage. They used various search engines to learn about search strategies and learn more about geography. 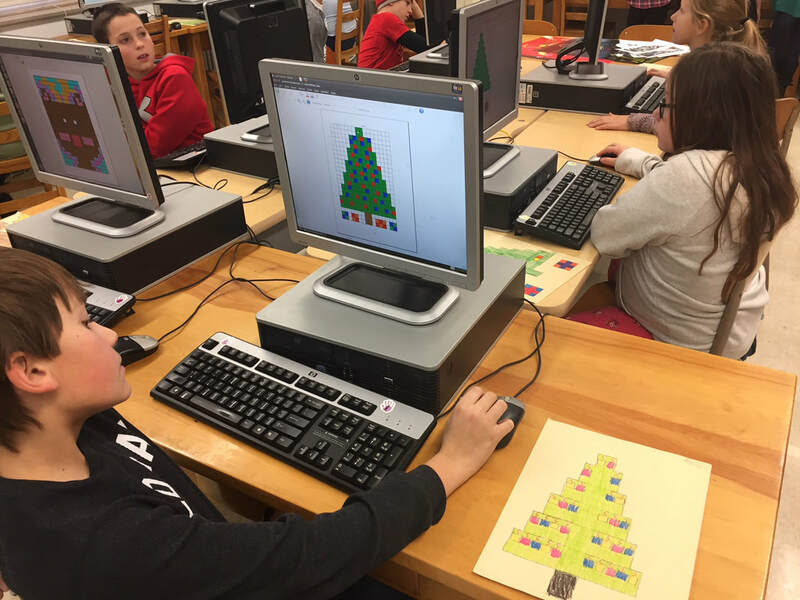 Fun with Spreadsheets was the theme for fourth graders as they transposed an image they created on graph paper to a spreadsheet. 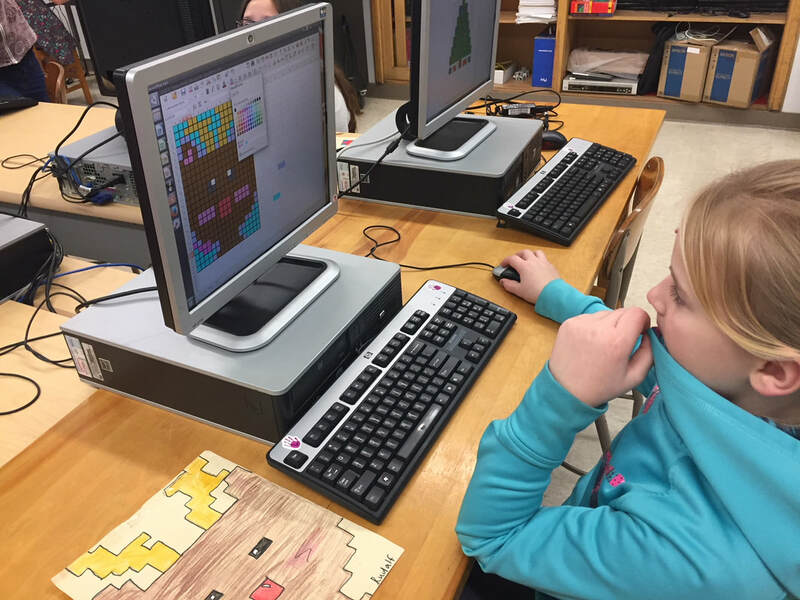 Students learned basic terms (columns, rows, cells, cell address), set up columns, rows, and borders, and then filled in the cells. Students created and sent cards to seminarians at the beginning of the month for Vocation Awareness. They are now receiving thank you cards and letters from the seminarians. Please pray for those who are answering God's call. Students are creating spreadsheets with given data. They will then create their own spreadsheets using information they put together as they plan a day trip to some place in Minnesota.